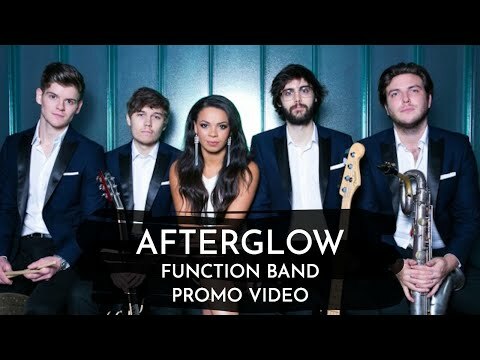 Afterglow are a premium, energy-driven pop, soul and dance band consisting of some of the UK's most talented and professional musicians, who have performed at prestigious events and venues across the country. The combined and varied skill of the individual musicians provides huge capability for the band’s sound and repertoire, making them a first choice in entertainment to suit any occasion. The band’s sound is fresh, upbeat and current, and the show is always dance-floor filling. The band provide several sized options to suit any occasion, ranging from a 4 piece to 14 piece band, the latter of which includes a string section, brass section and backing vocalists for those events where you truly want to dazzle your guests with the extra “wow” factor. Clients have the option to pick and choose their ensemble with specifics to size, taste and event, with Kudos always able to adapt to the context for your event. The collection of musicians for Kudos always ensures the highest standard show at any event; providing an energetic, versatile and tailor-built package that will always make for a memorable event. Check the Clients/Venues tab a list of the band’s individual endeavors, including artists, venues, media and events they have performed for to highlight the talent involved in the band such as Annie Lennox and BBC Later With Jools Holland. ￼This amazing band played at a wedding I attended and just WOW what an impact they had. Impossible not to dance to! Afterglow played at our wedding in October and were absolutely amazing! I'd seen them play at a friend's wedding and loved them so much, I booked them for ours! They were fantastic to deal with right the way through.. from booking to the day of the wedding. So professional! They played a cello solo for our ceremony, an acoustic set during our drinks reception and finished the night with the full band. They played a wide range of music to suit everyone - the dance floor was full all night.. just what we wanted! Unbelievable band, such energy, amazing vocalists, fresh, current and amazing musicians. The band are so professional and learned our own rendition of our first song perfectly just by email. You can't help but get involved. We had the 10 piece band wh I just blew the roof off. Everyone commented on how amazing you were and that gives me great pleasure to know you WOWED us and our guests. Everything went perfect and you guys were just the icing on the cake so once more thank you and I'll be definitely be recommending you. I'd rate 6 stars if I could!!! ￼A huuuuuuge thank you to Afterglow for being absolutely fantastic at our wedding last Saturday! Our guests have been asking about you! Top class entertainment. ￼Afterglow played at our Young Planners conference in Manchester and we're amazing! They got everyone up dancing, were really fun and interactive. The next day everyone was saying how fantastic the band was. Thanks! Afterglow played for our corporate Christmas party and they were just perfect! From liaising with the band before the event, to their professionalism and performance on the day - they were just fantastic and I can't recommend them highly enough for both corporate functions and weddings etc. Great musicians but also lovely people too. Hospitality/Artist Rider: Soft drinks and hot meal prior to performance for all bands members. Secure changing room. Parking for vehicles or reimbursed costs.